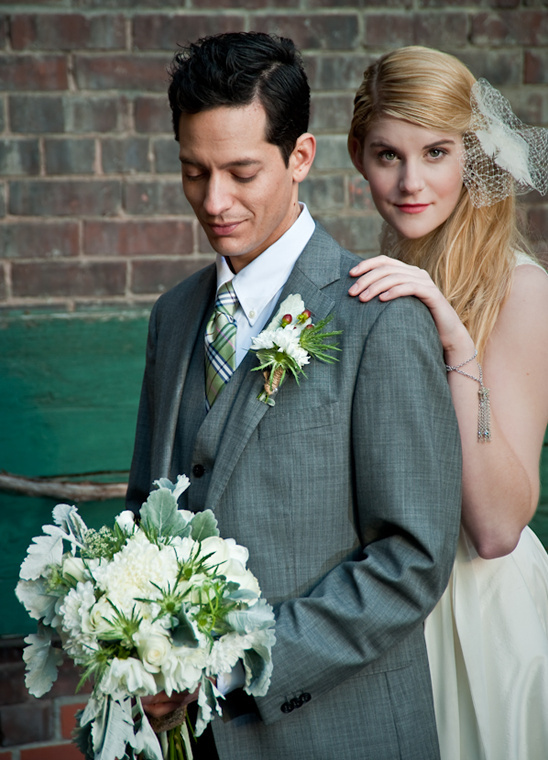 We are positive that there are dozens of you that have meet your soulmate at Starbucks/your local coffee house. In fact there are so many of you out there that Paul Nelson Images and Blossom Events collaborated to bring you some inspiration for a coffee themed wedding. 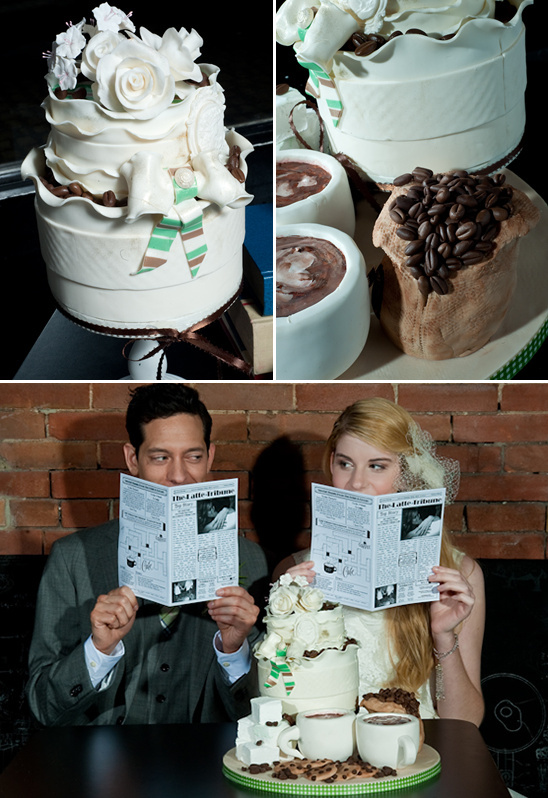 Your wedding does not necessarily have to be held at a coffee shop. 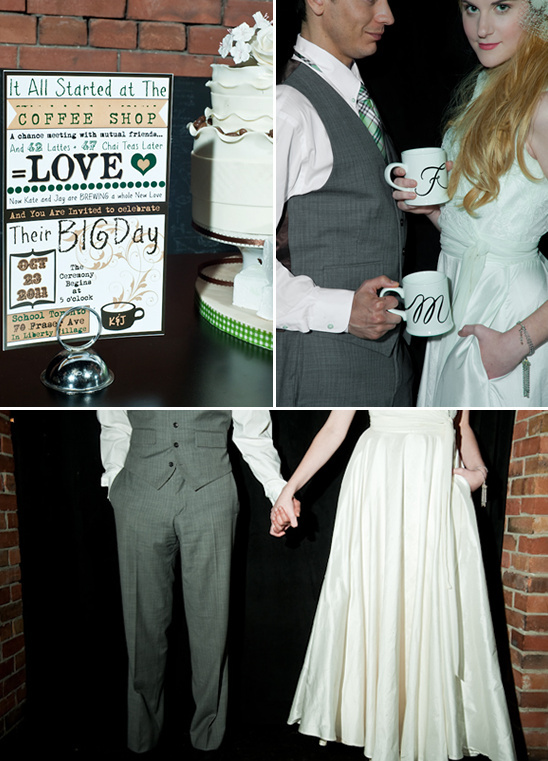 Read on to hear how you can have a Starbucks Wedding and of course be sure to see the entire gallery with way more coffee shop photos here. 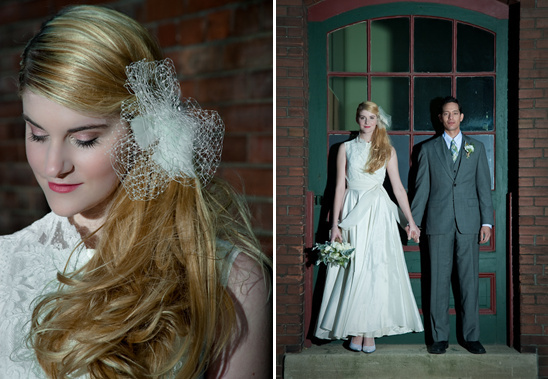 Setting: We wanted a photo shoot that felt cozy, casual and fun. We wanted to use the idea of a couple of have had their first date in the coffee shop and associate the idea of why people hung out in Starbucks. So we wanted the dark furniture, brick walls, chalkboards, shelves, books, and of course coffee beans to create the feel and coziness of it. The School Café and Bakery was a perfect location for us, as it incorporates all of the above. Stationery: Along with the idea of first date at a café, we wanted to create a set of invitations that would be fun, and non-traditional. The main colours we used are the Starbucks Green and White. Matching tea packages and coffee labels were made to continue with the casual theme. The tea and coffee names are of course inspired by selection that Starbucks carry. 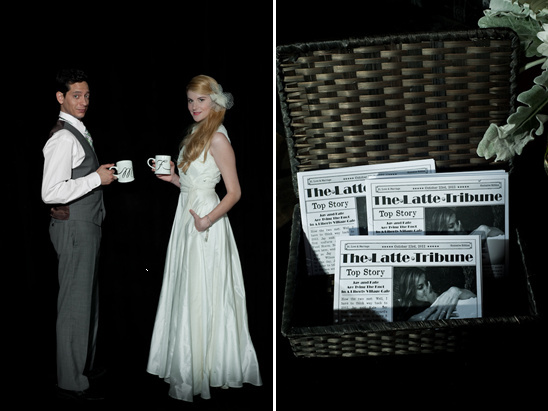 Because we wanted this to be fun, we decided that mini newspaper programs with a crossword puzzle at the back about the couple would be a great way to create the relaxed feeling, just like sitting at a café. As for the table number, we decided instead of a normal traditional table number, we could use coffee specials in Starbucks to name them, like Caramel Macchiato which is well known there. Lastly, as Starbucks always have a CD of the week on their cash counter, we decided we can have something similar created as ‘guest favors’. Cake: Inspired by Starbucks small bites desserts and snacks, we knew that Jaime from Wicked Little Cake Company whom we worked in the past before would do an awesome job! 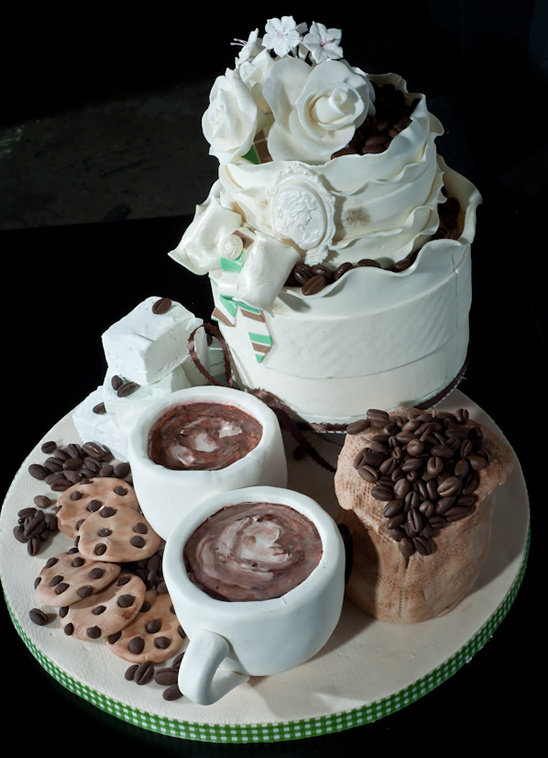 A simple cake complemented with homemade fluffy marshmallows, coffee beans, coffee mugs was exactly what we imagine that would fit a theme like ours.